The Artemus Labs team at the Innovation Challenge Awards at Cal State Long Beach in April. Photo courtesy of Giovanni Cardenas, CSULB. Most of the head-honchos of Long Beach’s newest startup are still finishing term papers and class projects at Cal State Long Beach. One co-CEO, Calvin Leung, just graduated in 2017 with a business degree, while the other co-CEO, Rae-Jillian Rivera, is still working toward her engineering degree. The three VP’s, Kimberly Ventura, Nikki Escobar and Annamaria Del Mundo are all in their last year of college, too. Together, they’re working toward the official launch of their company, called Artemus Labs, which is creating a liner for people who wear prosthetics that they say is both breathable and good looking—a rarity in the industry. 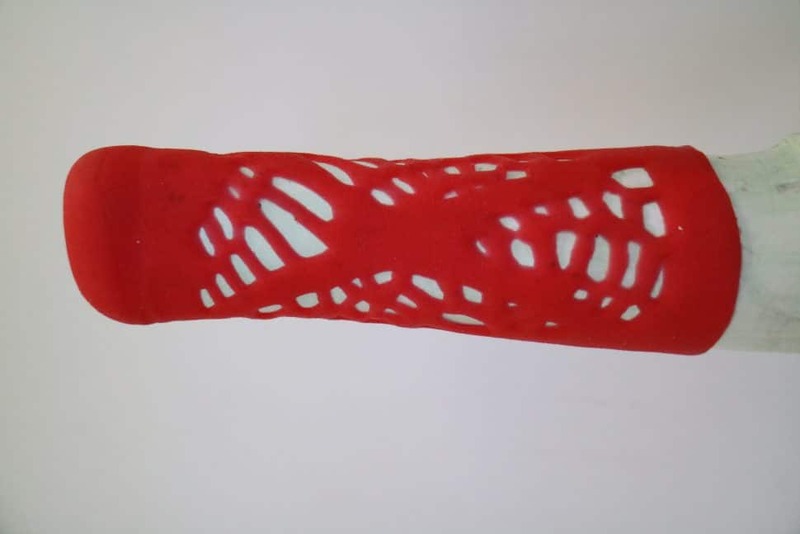 A prototype of the Artemus Labs prosthetic liner. Photo courtesy of Artemus Labs. 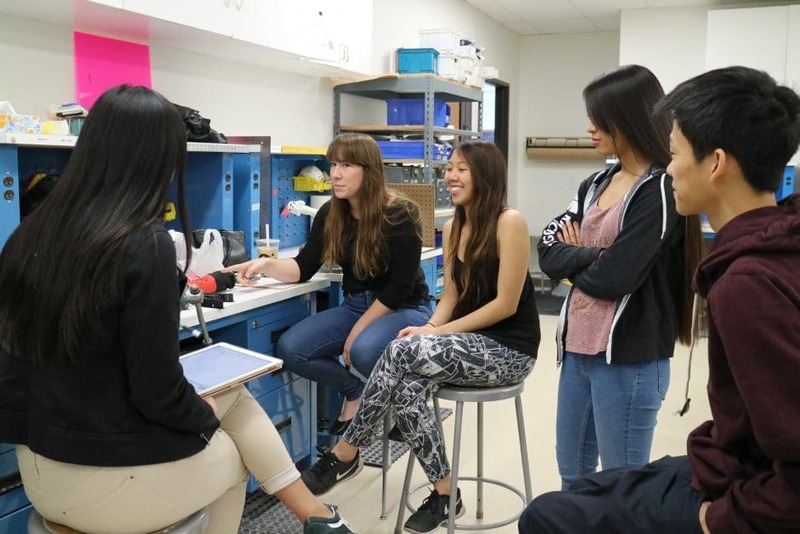 But just four months ago, the students were still working on their business plan and pitching their idea to a panel of judges at the CSULB Innovation Challenge, an annual competition where student teams flesh out their ideas for a business and get feedback from judges and mentors. The challenge, started eight years ago, gives the winning team $10,000 in seed funding plus about $40,000 worth of legal and business support, including lawyers, accountants and a co-working space. About 40 to 45 teams sign up each year, but only about 25 will actually submit business plans, Martin said. From there, the judges pick eight semifinalists then four finalists. The Artemus Labs team met with professional prosthetists to develop their liner. Photo courtesy of Artemus Labs. Previous winners have sold intellectual property to bigger companies, including engineering for easy-sliding doors and software that would allow a drone to be used for parking enforcement. This year’s winner, Artemus Labs, is a unique group in its diversity, Martin said. Their team consists of engineering, business, design, marketing and finance majors. Usually, teams are heavy with students from one or two majors. “They have a lot of cohesion as a team, and they are diverse in skill sets and experience,” he said. That diversity started organically: After two attempts at the Innovation Challenge, Leung met Rivera at a TedX conference, where she was presenting her research on lower-limb amputations. Initially they came up with the idea of a dynamic prosthetic socket that could grow or shrink as a person grows or their muscle mass changes around an amputated limb. But through outreach to the amputee community, they found a simpler product that could help more people: a truly breathable prosthetic liner. Just like socks, people with amputations often wear liners as a cushion between their prosthetic and their skin, but usually those silicone liners trap heat and sweat and cause abrasions, Leung said. “It’s like a wetsuit—out in this weather,” Leung said. While they couldn’t go into much detail, the company’s liner is made of a special kind of flexible silicone that can have webbing without tearing. They call it “Python” and it looks similar to Spiderman’s suit, Leung said. The young team has identified three major competitors, but after hearing negative feedback on the products already on the market, they are confident in their work. They still have a long road ahead of them and about a year until they have the product on the market. 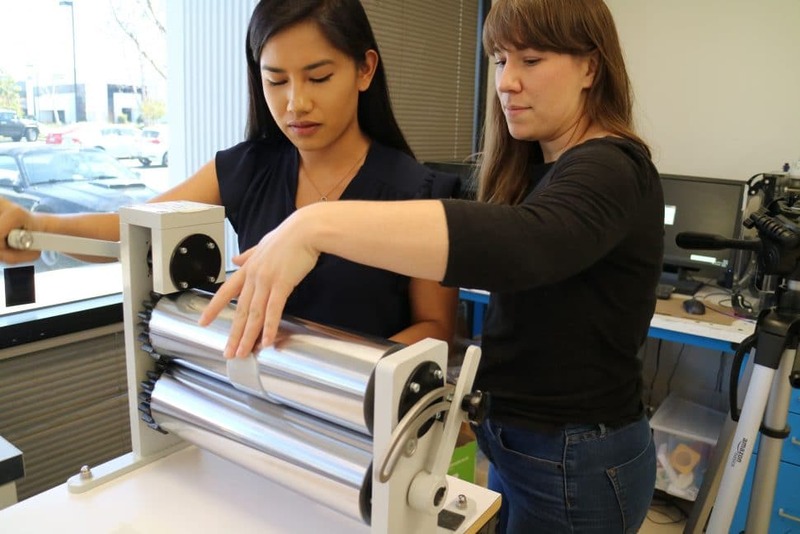 But with resources from CSULB, they can make simulations and stress-test their prototypes on campus—while finishing their degrees.